For over 45 years, the Mustang has been an American icon, unrivalled by any car, before or since. Since the first Fords rolled off the production line in the mid sixties, and Shelby got his hands on one a year later, the Mustang has been the car of choice for movie makers. No other car has achieved such celebrity status, or played a key role in as many films. And mustangs are still dominating the silver screen today. Mustangs have the looks, the power, the sound and that quintessential American cool that makes them movie stars in their own right. If there was an Oscar for best car at the Academy Awards, the Mustang’s fireplace mantel would be full. The car has made appearances in over 500 Movies and hundreds of TV shows. So let’s look at some of the Mustang’s finest starring roles. Okay, not a starring role for the car, Aston Martin’s DB5 got that accolade, but the third James Bond movie (any many aficionados will tell you the best) was the movie debut for Ford’s brand new muscle car. Fresh off the production line in 1964, Cubby Broccoli instantly spotted the car’s movie potential and cast it as the vehicle belonging to femme fatale Tilly Masterson as she hunts down Goldfinger. A brief chase through the Swiss mountainside ends with the Mustang from suffering shredded tires, but its movie potential was secured. 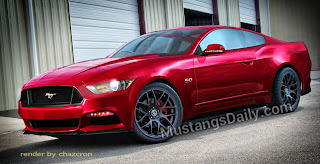 The 2003 Saleen S281E, which ended up trashed during the Vin Diesel street racing movie, was actually a V6 Ford Mustang with a Saleen body kit. Not sure why they didn’t use an original, although judging by the poor quality of acting they may have been on a tight budget and trying to save on performance car insurance. 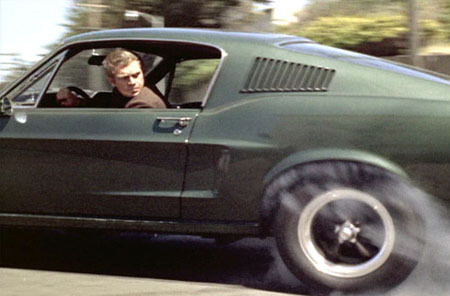 Just as Jack Nicholson will always be remembered for The Shining and Harrison ford for Indiana Jones, the Mustang’s greatest performance was in gritty 1967 cop thriller, Bullitt. Of course, Steve McQueen’s GT390 didn’t share the limelight alone, as it had to co-perform with the villain’s Dodge Charger, but the near-ten minute chase between the two cars has gone down in movie history as perhaps the best car chase scene ever. Not the most memorable Bond film, but 1971 Sean Connery outing did have a memorable Mustang scene, albeit for all the wrong reasons. Trying to evade police in a red 71 fastback, Bond squeezes through an alley by hitting a ramp and driving on two wheels. However, it appears the continuity editor was asleep as Bond went into the alley on the driver’s side wheels, and emerged on the passenger’s side. Oops. For a film about car thieves trying to steal 50 cars in 24 hours, it wouldn’t have been complete without a Mustang. Both the 1974 original and its 2000 remake starred Mustangs. In the original, the getaway vehicle of choice is a 1973 Mustang Mach 1, while the remake elevates the car to almost mythical status with Nicholas cage having failed to ever successfully “boost” one before. He pulls it off, though, with the silver and black 1967 Shelby GT500 “Eleanor” eventually outrunning a helicopter. While the end of the world has arrived and the only inhabitants of New York left are Will Smith and his trusty dog, things aren’t that bad, because he gets to blast around the empty city in a red and white 2007 Shelby Mustang while shooting deer. Michael Bay may have a reputation for making appalling movies, but he at least had the good sense to cast a 2007 Mustang. The car converted from a police car to a Decepticon named Brawl and fought the Transformer’s Chevy Camaro, named Bumblebee. Shame he lost. 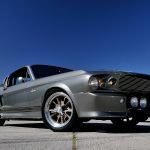 This entry was written by by Isabella Woods (1967 Ford Mustang Shelby GT500) and posted here on Friday, January 20th, 2012 at 2:31 pm and is filed under Thoughts. This article was not written by us, rather gathered using RSS feeds listed here. We take no credit for this article. You can leave a response, or trackback from your own site.